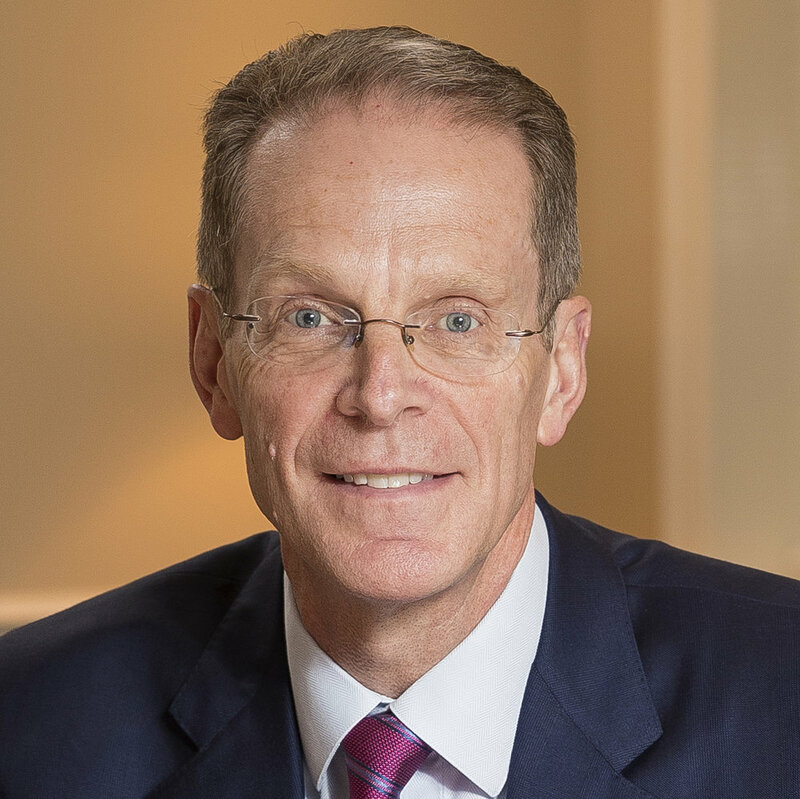 Geoffrey S. Mearns became Ball State University’s seventeenth president in May 2017. On campus, he has met with students, faculty, and staff. He toured Muncie by bus and has met with local civic organizations. He has spent time on the road, meeting with alumni, friends of the university, and government officials. Geoff has a distinguished career. He earned his undergraduate degree in English from Yale University and a J.D. from the University of Virginia. After a legal career that included serving as a federal prosecutor, he joined Cleveland State University, where he first served as dean and professor of law at the Cleveland-Marshall College of Law, then as provost and senior vice president for Academic Affairs. In 2012, he became president of Northern Kentucky University. Since he started at Ball State, Geoff has worked hard work to get to know the campus and local community and to lay the foundation for the university to fulfill its vital mission. He and his wife, Jennifer, have five children.